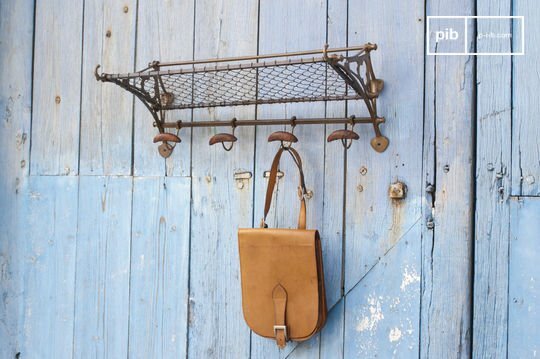 Originally conceived to be as practical as possible, it gradually became trendy during the second half of the 20th century, first through the topic of nostalgia and then due to its originality. 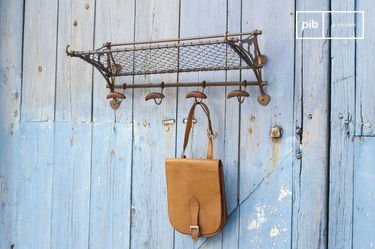 Useful and with a high design, the metal coat rack brings personality to your entrance hall by offering several hooks for your coats, scarves and bags. Furthermore, remember that metal is an obvious guarantee of strength, and you will have no worries about the resistance of this item. It requires little maintenance and will, without doubt, last for many years. With a timeless style, it guarantees a perennial purchase, both in terms of wear and due to its aesthetic features. 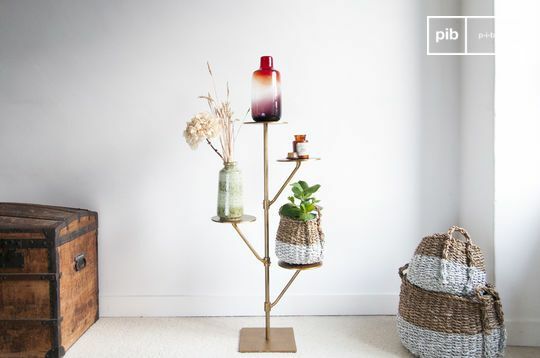 Bring personality to your interior by looking after the decor of your entrance hall. From the get go you can introduce colour by using authentic furniture and accessories. 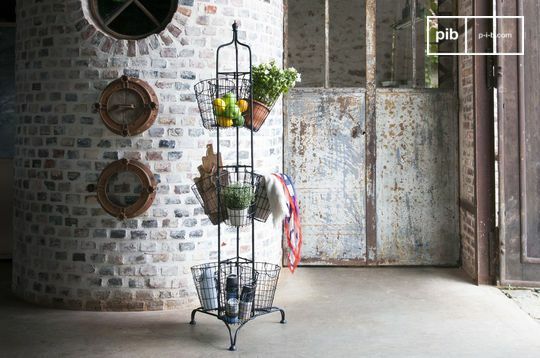 A metal and wood console, a storage bench, a factory style coat rack and you are sure to get a convincing retro finish that will please even the most demanding. We pay special attention to the finishing of our products in order to offer you quality items. 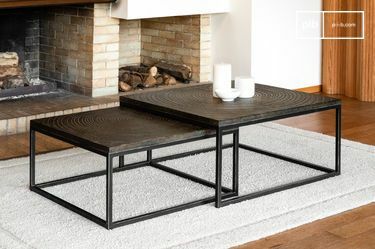 The slightly patinated metal brings an authentic touch to your decoration, while offering optimal solidity. 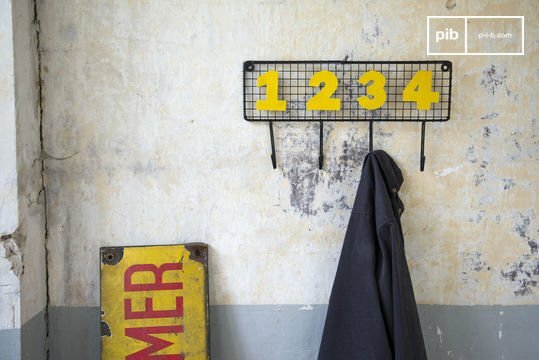 Whether wall-mounted or not, your metal coat rack will achieve the desired effect thanks to its mesh and vintage effect. 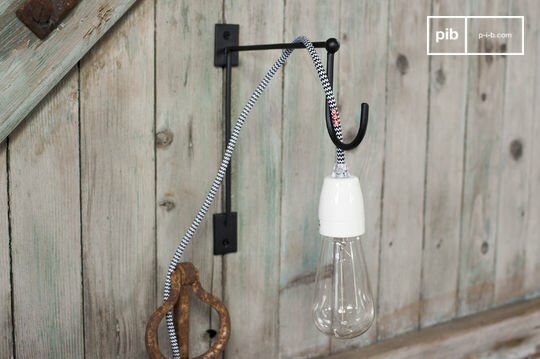 Associated with a designer lamp such as a wall lamp with switch or standing lamps such as the on trend tripod lamp, it will bring the hallmark. 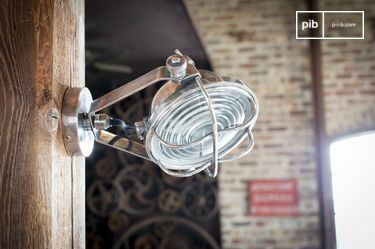 A Jieldé ceiling light is a wise choice, but industrial wall lamps and other retro hanging lights will also bring a lot of style. 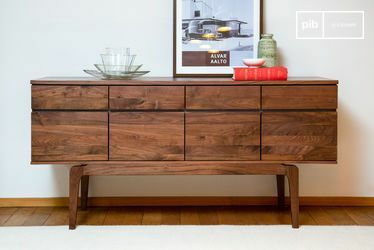 A console table with drawers can also be a good complement to your new accessory. You can put your keys and other everyday objects there, but also put a decorative accessory that you like, like decorative vintage vases with floral motifs. 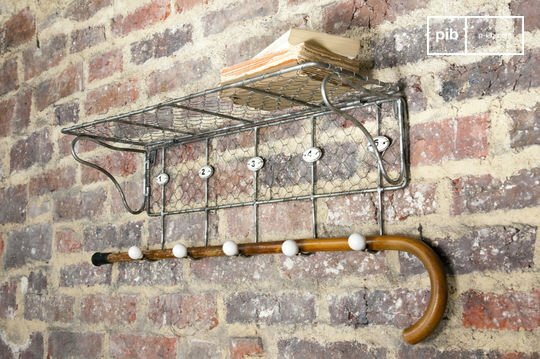 Starting with a successful loft decoration, the metal coat rack is a sure bet that you will be able to keep for many years. Its look really is rather timeless.